Determination of the water vapor permeability is of major importance for many materials such as paper, plastic films and foils and other sheet materials product packages are made of. Knowledge and control of the water vapor transmission rate (WVTR) into and out of a packaging is a key factor in maintaining the quality of a product even in regions having widely varying environmental conditions. Packaging engineers and also product developers from all industries where moisture migration through a thin barrier layer, foil or membrane is of importance, require a measurement method to generate precise, reliable and repeatable test data. Very often sorption analysis and water vapor permeability are both needed for the same application. 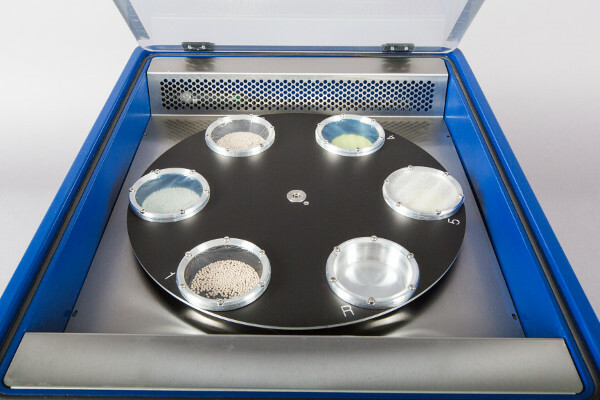 Providing a highly sensitive analytical balance and an environment of controlled temperature and humidity, the SPS and Vsorp sorption systems are perfectly suited to combine both measurement methods in a single instrument. ProUmid offer the permeability kit for the SPS systems as well as for the Vsorp instruments. 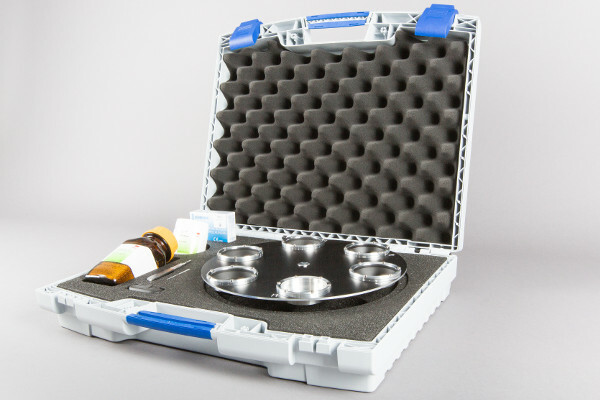 The permeability kit enables the determination of the amount of water vapour transmitted through a foil/film with a given surface area and under controlled humidity conditions during a specified period of time. The permeability kit works as described in EN ISO 7783-1 part 1: “Dish method for free films”. 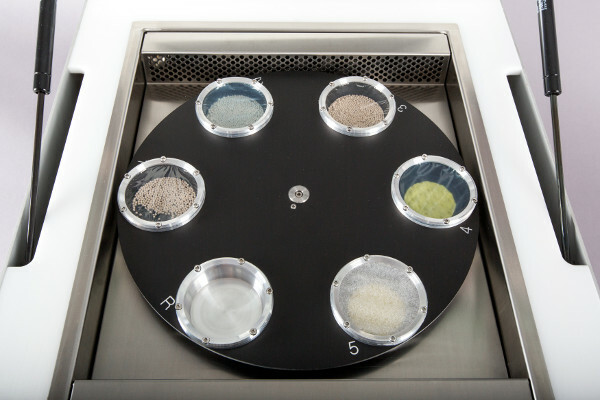 Simultaneous testing of up to 5 samples is possible. 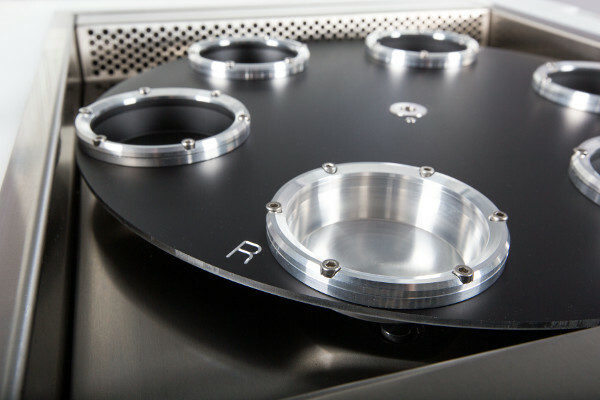 The sample tray with the sample dishes is placed inside the test chamber of the instrument for measurement under controlled conditions (temperature, humidity and flow). 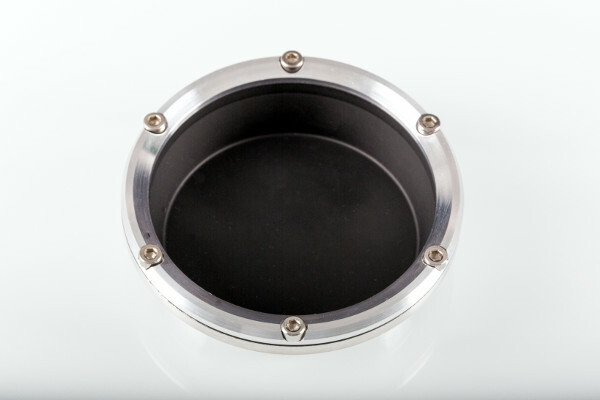 The sample dishes are filled with a dessicant, water or humidity standard. The sample itself is fixed by the clamping frame of the dish. 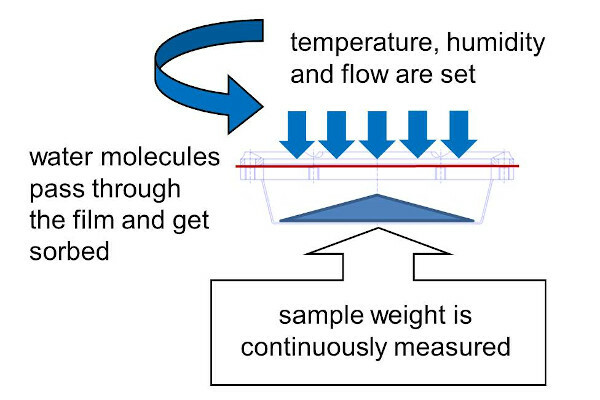 A difference in the partial water vapor pressure between the controlled climatic conditions inside the measurement chamber and the sample dish inside is established causing a migration of water molecules through the film. The result is a constant change in mass of the sample dish that is recorded by the analytic balance of the instrument. The water vapor permeability rate is determined from the linear slope of this sorption curve. 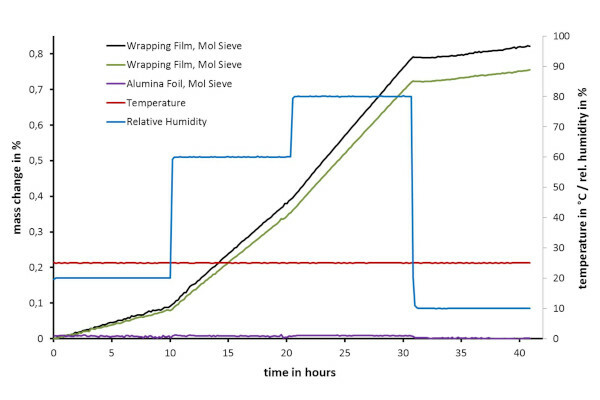 The diagram shows some results of a water vapor transmisson measurement performed with commercially available cling film. 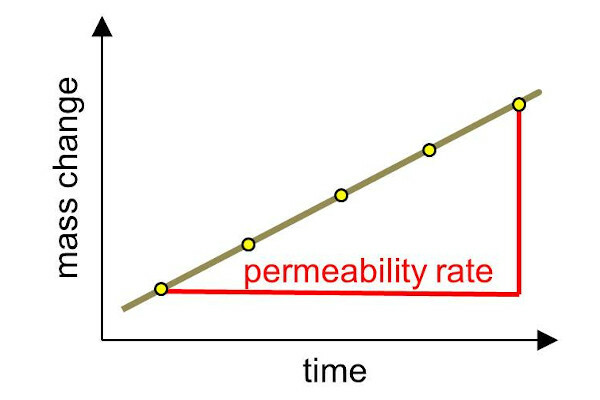 The permeability rate was determined at different RH levels. For further reading please download the corresponding application note AN-1201 Water vapor migration through films.